Training, including exchange of PhD’s. Technical training – upgrade with respect to wind energy related measurement systems. WAsP training (Training of Trainers – ToT). Mid-term Workshops for invited stakeholders from e.g. authorities, planners, developers, banks, scientists, etc. Final Workshops and training of trainers for invited stakeholders, incl. opportunities for application in determination of extreme wind climate; seasonal forecasting; and other than wind energy. Application of mesoscale modelling results to the estimation of an extreme wind climate of South Africa Eastern Cape. 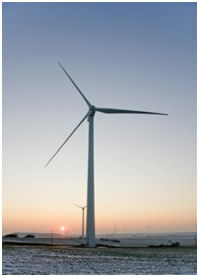 Establish and document research cooperation between South African and international wind research partners.